An evening of policy and improvisational comedy explored the science and ethics surrounding reproductive technology. As Gustavus Adolphus College gears up for the 53rd annual Nobel Conference this October, a serious topic took on a lighter tone as The Theater of Public Policy previewed the upcoming conference – “Reproductive Technology: How Far Do We Go?” – on Tuesday, August 8 at the Women’s Club of Minneapolis. “People are highly engaged in topics such as CRISPR and ‘three-parent’ babies and the many ethical issues that go along with this rapidly advancing technology,” Nobel Conference director and Gustavus philosophy professor Lisa Heldke said. 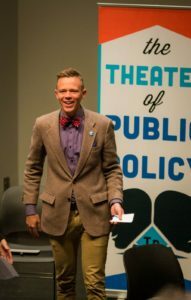 According to Heldke, the preview event offered a new take on the conference and the many nuances of reproductive technology by injecting humor into a complicated and sometimes taboo topic. The preview opened with Tane Danger interviewing Colleen Casey, MD, a reproductive endocrinologist and fertility specialist, and Katy Kozhimannil, PhD, MPA, who works in the Division of Health Policy and Management at the University of Minnesota’s School of Public Health. 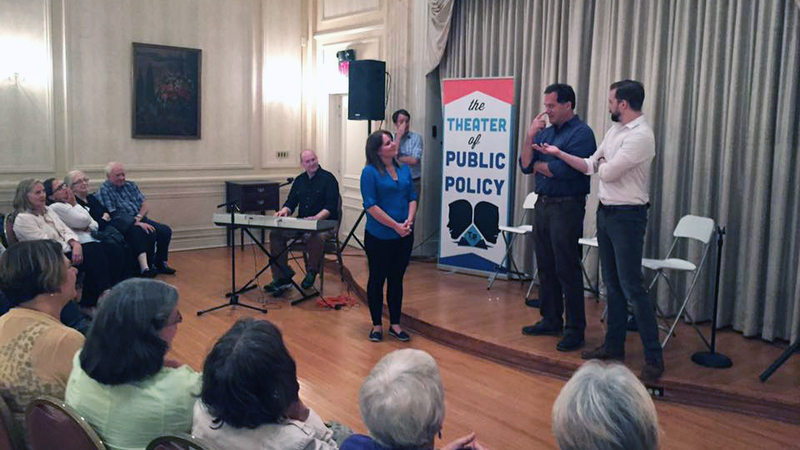 Once the audience – and the improv troupe – had an understanding of the issues, the actors took the stage for a series of short-form sketches that paired humor and policy. Did you miss this week’s performance? You’re in luck. 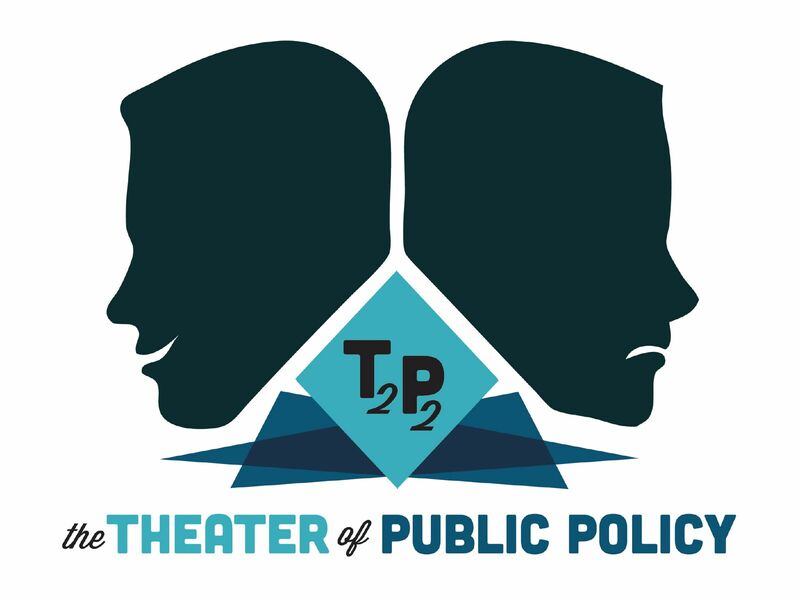 The Theater of Public Policy will perform a free encore as part of the Nobel Conference on Tuesday, October 3 at 6:30 p.m. at Gustavus. Tickets are still available for the Nobel Conference. To learn more, see the slate of speakers, and explore the conference schedule, visit the Nobel Conference website. The Theater of Public Policy advances the understanding of complex ideas and issues by drawing on improvisational comedy and has earned a national reputation for bringing intelligent humor to liven up discussions on a range of issues.